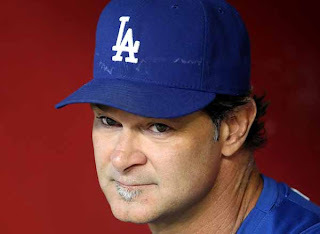 Los Angeles Dodgers manager Don Mattingly has been suspended for two games and fined an undisclosed amount for his excessive arguing in the top of the second inning of his Club’s Thursday, August 16th game against the Pittsburgh Pirates at PNC Park. Joe Garagiola, Jr., Senior Vice President of Standards & On-Field Operations for Major League Baseball, made the announcement. Mattingly’s suspension is to begin tonight, when the Dodgers are to continue their series at Atlanta.